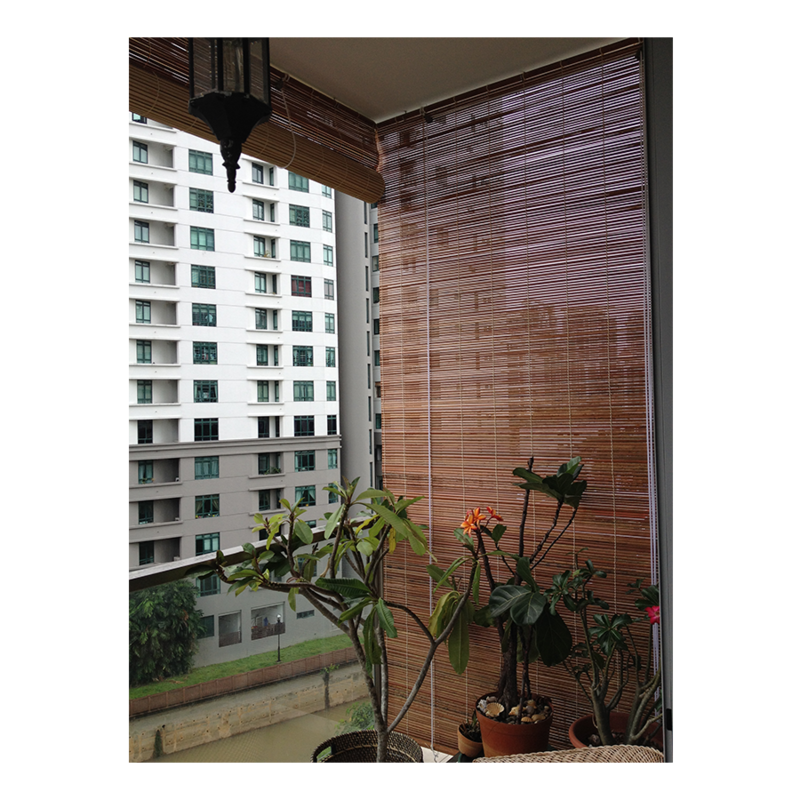 This wood is sourced from real bamboo and that makes bamboo blinds extremely durable and moisture-resistant. They are highly versatile, and complement any room and outdoor areas. Bamboo brings a touch of the outdoors inside and add textural interest to any room. It is often considered chic and creates a relaxed beach vibe. However, bamboo blinds can be layered with drapes to create a classically decorated look. Besides their aesthetic appeals, they help filter sunlight, keeping temperatures down, and also cosy up spaces on evenings. With Singapore’s humid weather, its lightweight and durable characteristics make them one of the best materials to consider if you are looking for blinds. At The Curtain Boutique, we use solid integrated wooden head rails with high quality cord lock and guided pulley system for smooth and long lasting operation. We offer more than the usual natural shades of bamboo blinds. 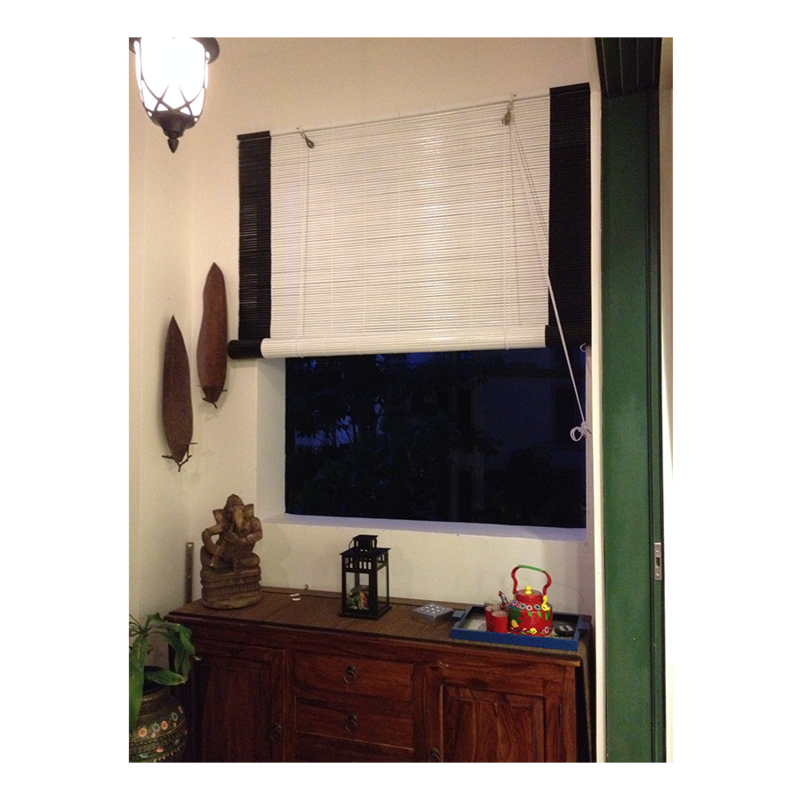 Our bamboo blinds come in black and white too. Start customising them to suit to your interior décor at The Curtain Boutique. Get in touch with The Curtain Boutique via our live chat to learn more about our products and learn why they are a great option for the erratic weather condition in Singapore. The Curtain Boutique is a Singapore Curtains & Blinds supplier that specialises in both home and office soft furnishing.